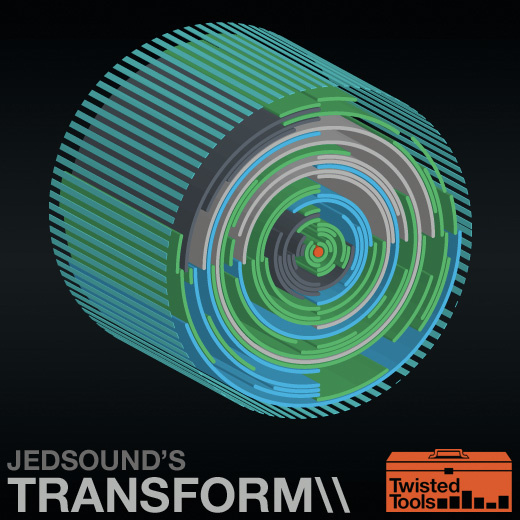 As their name suggests, Twisted Tools specialise in sample packs with plenty of attitude, and this one is no exception. Transform is a collection from acclaimed French sound designer Jean-Edouard Miclot (aka Jedsound). It features around 1.6GB of 24-bit/96kHz data including field recordings, heavily processed effects and specially designed sounds, and should appeal to both sound designers and adventurous musicians. Transform includes around 1500 main WAV files, plus comprehensive metadata files to help the professional sound designer find the most suitable candidates for a particular task quickly and easily. However, most musicians will find the 47 sampler 'Kits' of more immediate use, as they collectively map the above WAV files across the keyboard (one per note) in Ableton, Battery, EXS24, Kontakt, Kyma, Maschine and Reaktor formats. Twisted Tools even bundle their own MP16C 16-voice pad sampler for NI's Reaktor 5 users, along with MIDI templates for Maschine and Kore. All Transform samples are presented dry, so you can add your own effects to taste, and will be deeply inspiring to anyone with an interest in sci-fi, offering a host of 'expensive-sounding' robotic servo movements, futuristic machines and pseudo-vocal utterances. They were created using a jaw-dropping set of source material ranging from dry ice, pools of hair gel, electronic toys and old hard drives to small electric motors, electro-magnetic interference, water and elastic bands, and then painstakingly treated through a further variety of software and hardware, including the famed Kyma environment. All of the one-shot sounds from the Bass, Composites, Crunch, FX, Impact and Mecha folders will drop beautifully into films, games and music tracks as incidental effects. The Eerie and Organic folders are an instant source of more complex soundcapes, while the Whoosh sounds incorporate lots of Doppler effects and panning, suitable for machine fly-bys. Particularly fascinating are the Micros, a collection of very short samples (some only one cycle long) that have been assembled into much longer sequences at different BPM for use as textures or rhythms. Here, you can experience scuttling electronic insects, tiny hand-cranked machines and talking data-streams. A further 2000 or so short WAV files used in their creation can also be found in the 'Additional content' folder, for further experimentation. Those used to working with more abstract music formats should already be on cloud nine. However, it takes a slightly different mindset to incorporate Transform into more traditional music compositions. Many of the sounds (particularly those from the Impacts, FX and Mecha folders) could form stunning robotic drum kits, while the Transform Layered Kit demonstrates the huge potential of piling the sounds on top of each other, for ever-more complex effects.